Ethanol or ethyl alcohol is a colorless fluid with a characteristic alcohol smell. It forms the chief component of drinking alcohol such as whiskey, brandy, wine, gin, and vodka among others. Ethanol Poisoning is the accidental or intentional intake of the compound. The intake is through swallowing the compound. What are the Causes of Ethanol Poisoning? What are the Signs and Symptoms of Ethanol Poisoning? The signs and symptoms of Ethanol Poisoning can vary from one individual to another. It may be mild in some and severe in others. Several systems of the body, such as the digestive system, respiratory system, and nervous system, may be affected. How is First Aid administered for Ethanol Poisoning? Who should administer First Aid for Ethanol Poisoning? 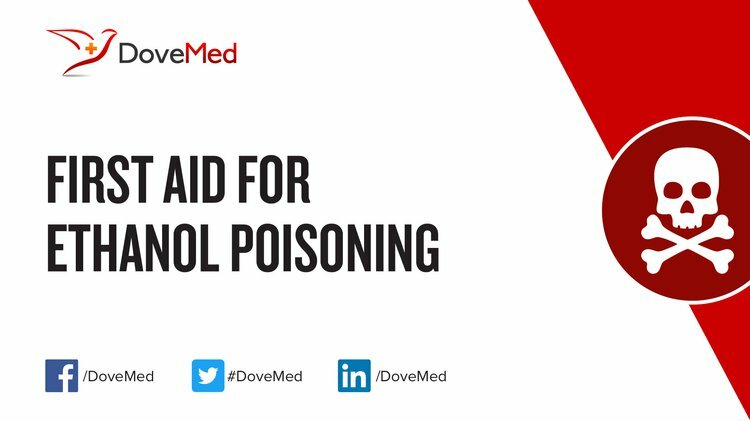 First aid for Ethanol Poisoning is usually administered by healthcare professionals. What is the Prognosis of Ethanol Poisoning? How can Ethanol Poisoning be Prevented? Engel, J. S., & Spiller, H. A. (2010). Acute ethanol poisoning in a 4-year-old as a result of ethanol-based hand-sanitizer ingestion. Pediatric emergency care, 26(7), 508-509. Tuusov, J., Vals, K., Tõnisson, M., Riikoja, A., Denissov, G., & Väli, M. (2013). Fatal poisoning in Estonia 2000–2009. Trends in illegal drug-related deaths. Journal of forensic and legal medicine, 20(1), 51-56. Gormley, N. J., Bronstein, A. C., Rasimas, J. J., Wratney, A. T., Sun, J., Austin, H. A., & Suffredini, A. F. (2012). The rising incidence of intentional ingestion of ethanol-containing hand sanitizers. Critical care medicine, 40(1), 290. Müller, D., & Desel, H. (2013). Common causes of poisoning: etiology, diagnosis and treatment. Deutsches Ärzteblatt International, 110(41), 690. Zuccotti, G. V., & Fabiano, V. (2011). Safety issues with ethanol as an excipient in drugs intended for pediatric use. Expert opinion on drug safety, 10(4), 499-502. Shah, S., Pandey, V., Thakore, N., & Mehta, I. (2012). Study of 63 cases of methyl alcohol poisoning (hooch tragedy in Ahmedabad). J Assoc Physicians India, 60, 34-36. Caravati, E. M., & Anderson, K. T. (2010). Breath alcohol analyzer mistakes methanol poisoning for alcohol intoxication. Annals of emergency medicine, 55(2), 198-200. Simonsen, K. W., Normann, P. T., Ceder, G., Vuori, E., Thordardottir, S., Thelander, G., ... & Rollmann, D. (2011). Fatal poisoning in drug addicts in the Nordic countries in 2007. Forensic science international, 207(1), 170-176.